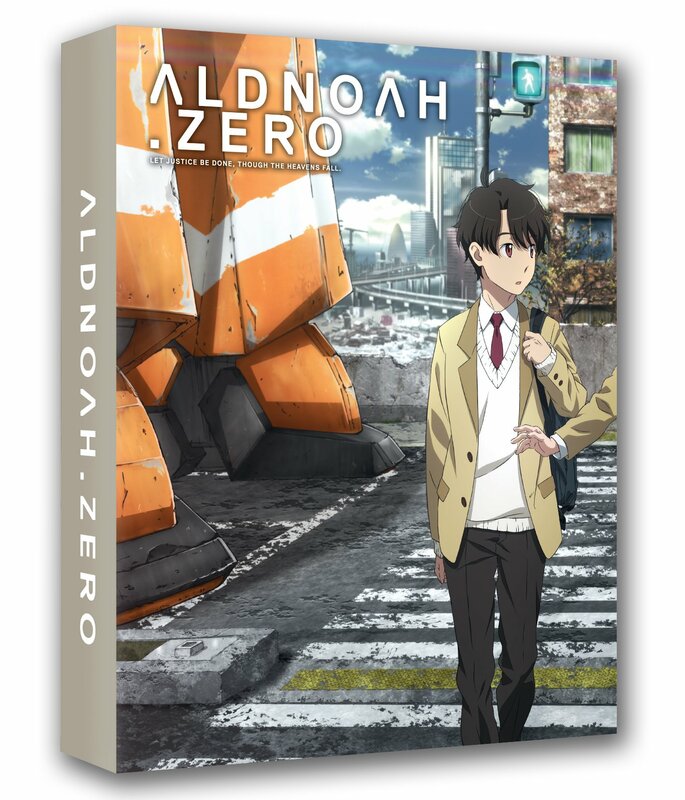 Aldnoah.Zero is an original anime (as in not based on a manga, light novel or game, a rare thing really!) that was created by Gen Urobuchi of Madoka Magica, Fate/Zero and Psycho-Pass fame. In 1969 explorers on the moon found an ancient hyper-gate that connected to Mars, leading to eventual colonisation of the planet and the official creation of the Vers empire. On Mars the discovery of more ancient technology, specifically a perfect energy source named Aldnoah, led to the Vers empire leaping ahead of Earth technologically. In 1999 war on Earth was declared by Vers, a war that resulted in the hype-gate exploding and taking a large chunk of the moon with it. The resulting damage to Earth, referred to as “heaven’s fall”, resulted in a ceasefire where Earth began to gather itself together and the Vers Imperial Army, now unable to get back to Mars, stood by in large orbital space stations referred to as “Sky Castles”, surrounded by debris from the moon. That is how this story starts. It is a little overwhelming at first, though you soon catch on to everything. The Princess of Vers decides to head to Earth in the name of peace but she is assassinated, causing war to break out between Earth and the Imperial Vers army, who soon descend to the planet and begin attacking, easily wiping out Earth’s lesser evolved mech suits with their far superior (and Aldnoah-powered) suits (note that in this world, mechs are referred to as “Kataphracts”). This leads to Gundam 101, as a bunch of students end up piloting suits and bettering their opponent, surprising the experienced soldiers whom they end up travelling with around the world as they head to a base. The lead characters on the good side are Inaho Kaizuka, an emotionless genius student, and the Princess of Vers, Asseylum Vers Allusia, who, as it turns out, isn’t dead. She soon finds out that her own people engineered her attempted assassination and so joins the Earth soldiers in order to contact the higher-ups at Vers to cause a ceasefire. Sorry if that seems spoilery, but this all happens with the first episode or two… The two leads begin to have feelings for each other, being pretty much the only two who just see a fellow human staring back at them, rather than a member of the enemy race. As for the “Orbital Knights”, they are mostly your classic aristocratic snobs who look down on the filthy Terrans and have no problem taking territory by force. The only real exception, and undoubtedly the most interesting character in the series, is Slaine Troyard. He is from Earth, but after crashing onto Vers he was rescued by the Princess and taken in as a lowly servant, fiercely loyal to the Princess that saved him. Throughout the series he teases going to each side of the war, unsure of his loyalty to anything other than the Princess, but even when he finds out she’s alive, he is caught between the members of Vers also loyal to her, the Vers who tried to kill her and the Earthlings; he is technically one of them, but one who has spent so long in the company of the Vers empire that he has a hard time trusting the others. The very last scene of this season is a cracker, with Slaine in the middle of an impossible situation, and seeing what he does was great TV. Thumbs up for the cliffhanger. Both voice casts do a fine job, so no matter your language preference, you’ll be happy. The opening theme is “heavenly blue” by Kalafina, and the ending themes (it has two, and switches between them rather randomly) are “A/Z” and “aLIEz”, both by SawanoHiroyuki[nZk]:mizuki (which is a mouthful!). I also feel that I have to mention the background music by Hiroyuki Sawano, which is great. It really sets a lot of the action scenes up well. The animation is good. Although I’m not a fan of mixing CGI with traditional animation, Aldnoah does do it with a good bit of flair, and blends the scenes well enough that I didn’t even notice after a few episodes. One of my few complaints is that the 12 episodes are spread across four discs, with three episodes per Blu-ray. Given four episodes per DVD, let alone Blu-ray, is pretty old hat nowadays, this seemed really odd. So odd that I have no doubt it was something out of Anime Limited’s hands, so I won’t harp on about it too much. Also of note is that Japanese with English subs is the default when the discs start and you have to select the English language track through the set up menu. Extras are the usual clean opening and endings, plus “Count to A/Z”, a behind the scenes look at the production and promotion of the anime, only available in Japanese with subtitles. Overall this is a satisfying mech anime, the start of which won’t take anyone by surprise. It takes a few different turns and leads to a great ending that will leave you wanting more.